We live in troubling times and I believe that we are at a point in world history where the not so distant specter of a horrifying past is is rising before our eyes and all too many people cannot see it. Today is Holocaust Remembrance Day. 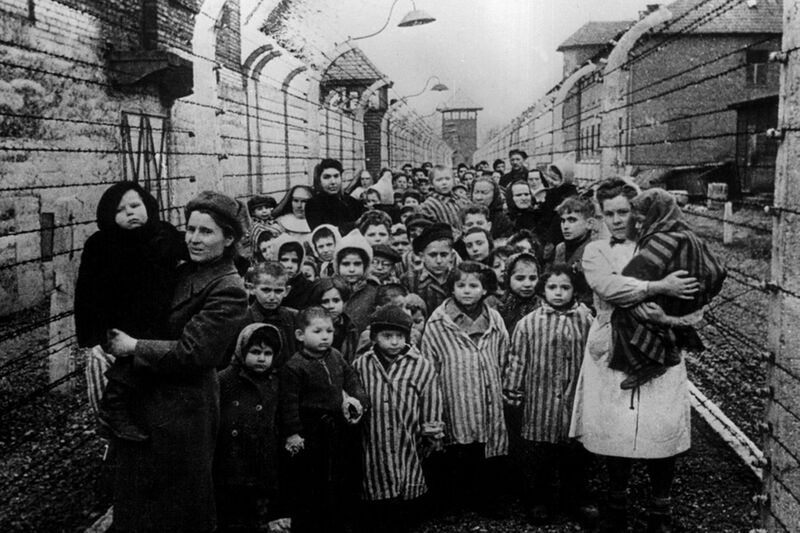 On that day seventy-three years ago the Soviet Red Army liberated the Auschwitz Concentration Camp, the centerpiece of the Nazi Death Camp machine. To be sure, in his panic to save his neck Heinrich Himmler had started in the Fall of 1944 began to switch from his tactic of extermination to using the Jews as bargaining chips., but by then most of the Jews under Nazi control were dead. Those that remained, emaciated and dying by the thousands to starvation, and unchecked disease, as they were marched in ghastly conditions to camps deeper inside Nazi controlled areas. About this time last year two things happened in the United States that caused me to shake my head and wonder if we are becoming a place that will turn its eyes away from current atrocities, genocide, ethnic and religious cleansing, and walk away. Likewise they were events the presaged even worse. Last year President Trump issued a proclamation to observe Holocaust Remembrance Day, a statement that did not mention the Jews. How one remembers the Holocaust without mentioning the Jews is beyond me, but some of the President’s advisers, including the now fired and disgraced Steve Bannon, are closely connected to the self-proclaimed Alt-Right, a movement of white supremacists and neo-Nazis looking for respectability. The second thing the President did was to issue an Executive Order halting the immigration of refugees from certain Muslim majority countries, and to cap the number entering. I’m not going to go into details about that but it is not the first time that the United States stopped refugees from entering the country on national security grounds, as in the 1930s and 1940s one of the reasons used to keep German Jewish refugees out of the country was exactly that, they might be Nazi spies and saboteurs. The present day reminds us that this is a day that we should never forget. 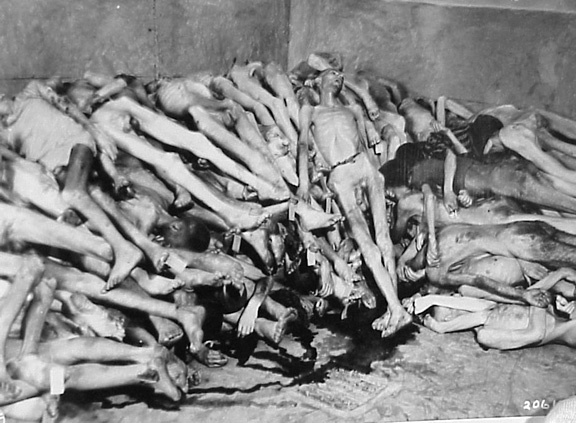 The horrors perpetrated by the Nazi regime, all in the name of “race purity” and the extermination of the Jews and others deemed by the Nazis to be “sub-human” or untermenschen is something that is hard for most to imagine. A couple of years ago I read Bettina Stangneth’s book, Eichmann Before Jerusalem: The Unexamined Life of a Mass Murderer. While I am very well informed and educated on the lives, writings, actions, and statements of many of the Nazi war criminals, this new book on Eichmann is the most troubling that I have ever read. In particular it is the accounts of his writings and interviews with other pro-Nazi, or former Nazis in Argentina, particularly the Sassen Interviews, which span hundreds of hours of tape and thousands of pages of transcripts. I am a Christian, a gentile, and a historian, as well as a nearly thirty-seven year military who served alongside our advisors and the Iraqis who fought alongside of us. I have lived in Germany, read, speak and write German and have many friends in that country, including members of the German military, retired and active duty. My study and association with Holocaust survivors goes back to my college days at California State University Northridge when as an undergraduate history major I spent much of my time studying Germany from the first unification and the Kaiser Reich, the First World War, Versailles, Weimar and the Hitler Regime. My professor, Dr. Helmut Heussler, whose family left Germany in the late 1920s, served in the U.S. Army in World War II and was an interrogator at Nuremberg. I took a number of classes from Dr. Heussler, including Hitler’s Germany and the Holocaust. In the latter I had the chance to meet Holocaust survivor Mel Mermelstein, who was later played by Leonard Nimoy in the TV movie Never Forget. 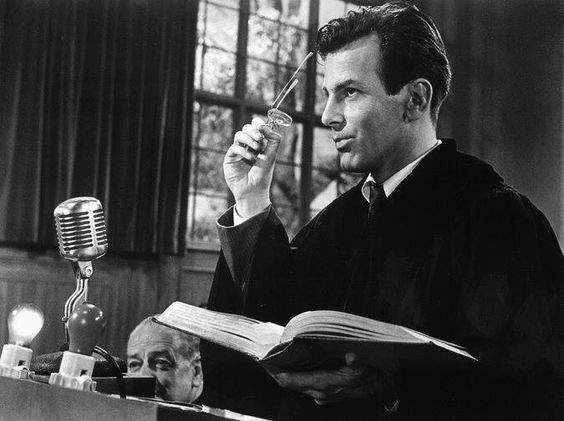 Since my college days I have continued to read and study, and to get a second Masters Degree in History in which much of my work dealt with the Nazi regime. 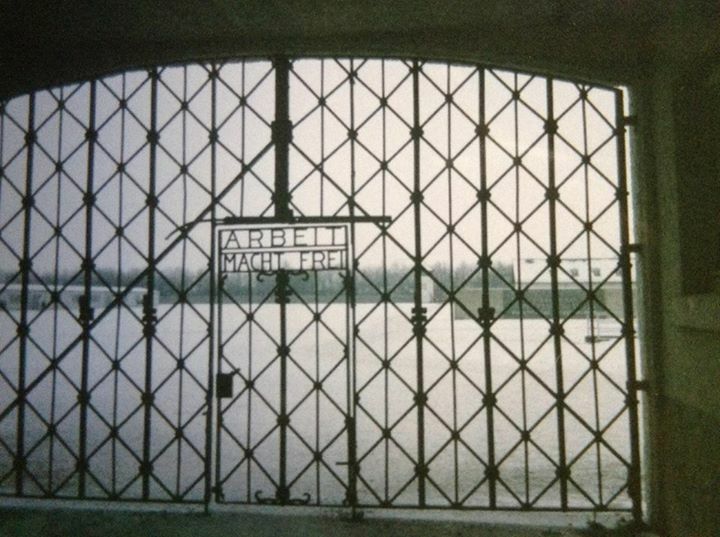 I have visited the sites of former concentration camps including Dachau and Bergen-Belsen. I have been to the sites of the Nazi Party rallies in Nuremberg, the courtroom where the Nuremberg Trails were conducted and to the T4 Euthanasia complex at Hadmar. One day, God willing I will get to Auschwitz and some of the other sites. When the Nazis invaded Poland, its Jews were rounded up and placed into ghettos where many died of starvation and abuse even before the ghettos were liquidated and the people who lived in them were deported to the extermination camps. 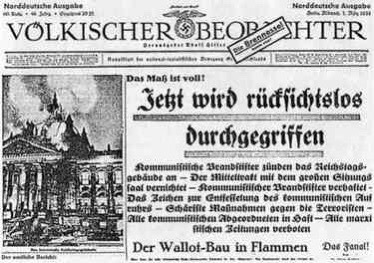 In 1941 as the German military seemed to be assured of victory in the Soviet Union the Nazis decided to exterminate the Jews of Europe. 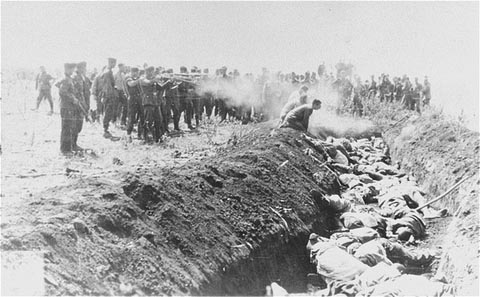 In the Soviet Union four Einsatzgruppen followed each of the German Army Groups and systematically began to massacre the Jews of every city and village which German soldiers captured. 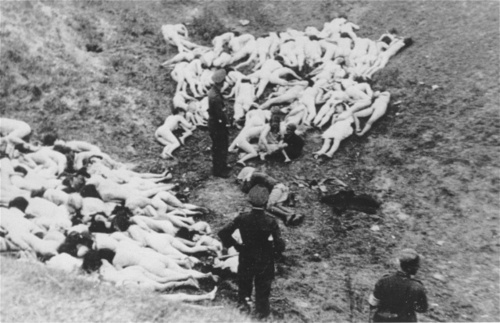 Over a million and a half Soviet Jews were killed by the Einsatzgruppen, Ordungspolizei battalions, Army Security Divisions and locally recruited units. At the Wansee Conference of January 20th 1942 the specifics of the “Final Solution” were mapped out by Himmler’s number two man, SS General Reinhard Heydrich. What followed is beyond the comprehension of most people, but the perpetrators were for the most part men and women who were terrifyingly normal. This was what made the Holocaust committed against the Jews of Europe by Nazi Germany a phenomenon different than other genocides. Many of the perpetrators were not driven by centuries old hate as in the Balkans, tribal blood lust as occurred in Rwanda, or the products of Soviet Communism or Communist Chines Maoist regimes, but a profoundly racial ideology. It was the racial ideology of the Nazis which deemed the Jews and other non-Aryans to be sub-human. That ideology undergirded the German treatment of the Jews, and the conduct of the war, especially in the East. But the execution of the plan required the bureaucratic, administrative, technical and legal skills brought to the table by ordinary men. These were men who sought promotion, advancement, and economic security for their families. Individually many would have never killed, but they ran the rail networks, the factories, the banking and finance industries and supported the war effort, most not thinking much about the evil that they abetted or if they did finding a way, be it social, scientific, religious, patriotic, legal or simply in the name of efficiency. That is what makes the evil committed by them so terrifying. It is the product of “normal” people in an advanced Western nation. Make no bones about it, their actions were evil. They aided and abetted the genocide of the Jews, the disabled, other “sub-human” races, particularly Slavs, as well as those that they deemed less than suitable. Sadly, human beings, even Americans have that same capacity to commit genocide. I think that the most chilling thing about the Holocaust was that the greatest atrocities were committed by ordinary men, sometimes well educated, decent family men. These were men who simply executed orders and often went home at night. Arendt wrote that “The sad truth is that most evil is done by people who never make up their minds to be good or evil.” She was right, there was an ordinariness to the evil perpetrated by the Nazis, at the same time there are those who consciously decide to participate in evil. In such a world it is all too important that we never forget, especially now when we could be watching it begin all over again.